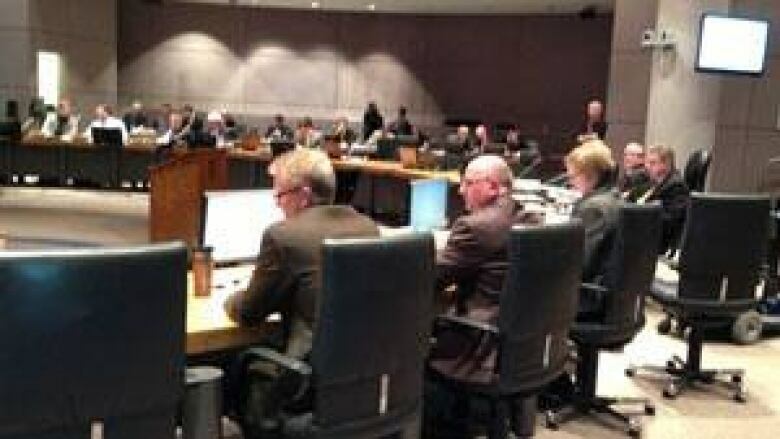 City councillors voted unanimously in favour of the Confederation Line light rail project Wednesday morning. The Rideau Transit Group will build the 12.5-kilometre line for a fixed price of $2.13 billion. It will have 13 rail stations from Tunney's Pasture to Blair Station, and construction is expected to begin in late February with the widening of Highway 417 between Nicholas Street and the Highway 174 split. The Rideau Transit Group includes Montreal-based engineering firm SNC-Lavalin, as well as ACS Infrastructure, an international group based in Spain, EllisDon Corporation, EllisDon Inc., Dragados Canada Inc. and Veolia Transportation Services Inc. The line will be ready in 2018, not in time for Canada's 150th anniversary celebrations in 2017. The federal government and the province are each contributing $600 million. The city is allocating $192 million in federal gas tax fund receipts and $287 million in provincial gas tax receipts. The rest will come from development charge revenues and transit reserves.